Fiction in Action: Whodunit is something not seen before, a textbook designed to act as a bridge to extensive reading. Over 12 units encompassing two original six-chapter stories, the book introduces students to the hows and the pleasures of reading accessible fiction in English. Fiction in Action focuses on extended and connected passages in one genre—in this case, the detective story—familiarizing students with the language, style and literary conventions associated with this form of story. A special feature of the text is tasks that are not merely supportive of but intrinsic to the stories. Oops... I have been emailing study materials but did not realize until just now that my messages were going into drafts instead of being published immediately. My notes: This site is a concise guide to some of the most commonly violated rules of writing, grammar, and punctuation. It is intended for all writers as an aid in the learning and refining of writing skills. Explore each of the rules to see examples of its application, and use the references to find additional explanations and examples on the Web or in print. 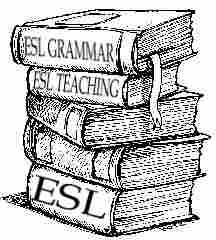 Look up grammatical terms in the glossary. For a wider variety of information, check related FAQs and other writing resources. Also, click on the Word of the Day until you've learned a few new words. Good day (whatever time of day it is where you are). I haven't posted since early December. I need to put myself on a calendar, schedule posting days and set email for auto-reminders. This English learning site looks interesting and useful. Let me know what you think of it. Send me your favorites. Include a line or two description and tell us what you like best about the sites. The English Self-paced Study Group is sluggish. I'll continue to post lessons for a while and see how it goes. I may move them here so as not to duplicate efforts. I am taking an online workshop called "Multiliteracies and Collaborative Learning." Would anyone care to guess what "multiliteracies" refers to? I am trying out some web tools that I'll share with you. This site has quite a few different activities for English Language Learners, and it looks pretty good. They're divided into sections, including vocabulary, writing, and listening. It's worth a visit. I learned about it through Michelle Henry, who has an incredible amount of resources for ELL's on her website.